SCANS have revealed that Demon recruit Steven May has suffered a minor hamstring injury and will be sidelined temporarily. 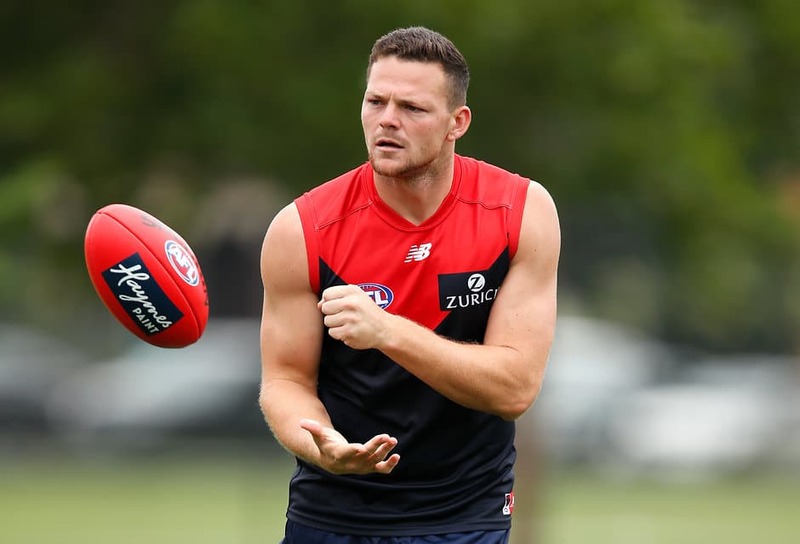 The 27-year-old will now join the rehab group for the next few weeks, but General Manager of Football and Operations Josh Mahoney says the setback shouldn’t impact his start to the season. “Steven May suffered a slight hamstring strain during training,” Mahoney told Melbourne Media. “This is likely to restrict him for three to four weeks and most likely our first JLT game. Since joining the club during the trade period, May has put together a strong block of training and looks in great shape to return to the side in full fitness prior to the home and away season. This minor injury will rule May out of the AFLX tournament, after he was drafted to Eddie Betts' Deadly squad on Wednesday night.